This is the full statement published by London mayor Sadiq Khan over the fatal blaze at a London tower block. I’m truly devastated to see the horrific scenes of the major fire at Grenfell Tower in Kensington. I have been in constant contact throughout the night with the Commissioner of the London Fire Brigade, Dany Cotton, who has been at the scene. More than 250 firefighters are at the scene and there have been more than 100 medics in attendance, as well as 100 police officers. I want to thank our incredible firefighters and emergency services for their immense courage, dedication and professionalism. Tragically, six people are now confirmed to have died as a result of the horrific fire at Grenfell Tower. Seventy-four people are being treated in hospitals including Royal Free, King’s, St Thomas’s, St Mary’s, Chelsea and Westminster and Charing Cross. The Metropolitan Police have warned that this figure is likely to rise as a complex recovery operation takes place over the coming days. My heart goes out to the family and friends of the victims and everyone affected. The Hammersmith & City and Circle lines are currently suspended between Hammersmith and Edgware Road and the A40 is closed in both directions between Marylebone Road and the Northern Roundabout. Bus routes are also on diversion. Please check the TfL website for the latest travel information. 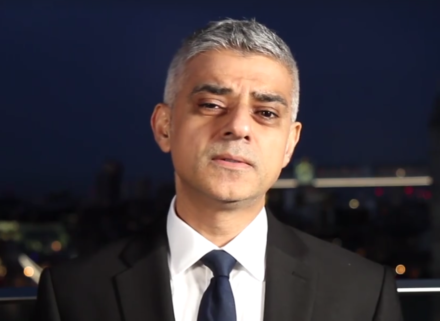 There will be a great many questions over the coming days as to the cause of this tragedy and I want to reassure Londoners that we will get all the answers. The emergency number for anyone with concerns about casualties is 0800 0961 233.